MECAVI’s organisational structure enables it to establish a clear working system in order to optimise the achievement of the company’s planned objectives. 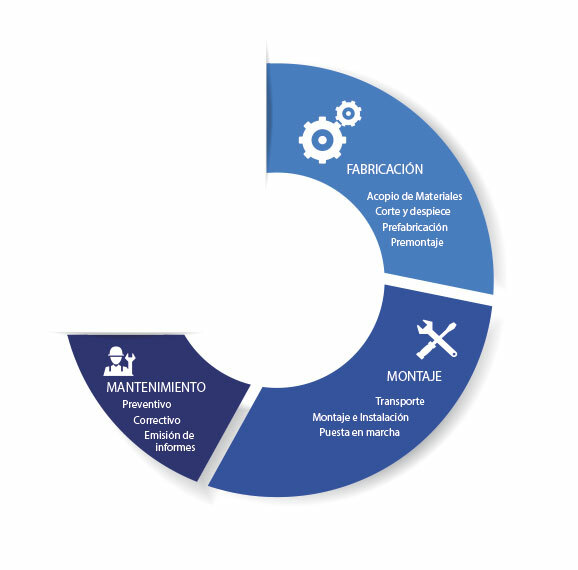 MECAVI’s activities range from manufacture, for which procurement of materials is required, cutting and disassembly, prefabrication and assembly, to the preventive and corrective maintenance of facilities with also the assembly and start-up at the client’s site. This organisational structure allows MECAVI to be present throughout the entire value chain in each of the projects, which enables an agile and effective workflow.